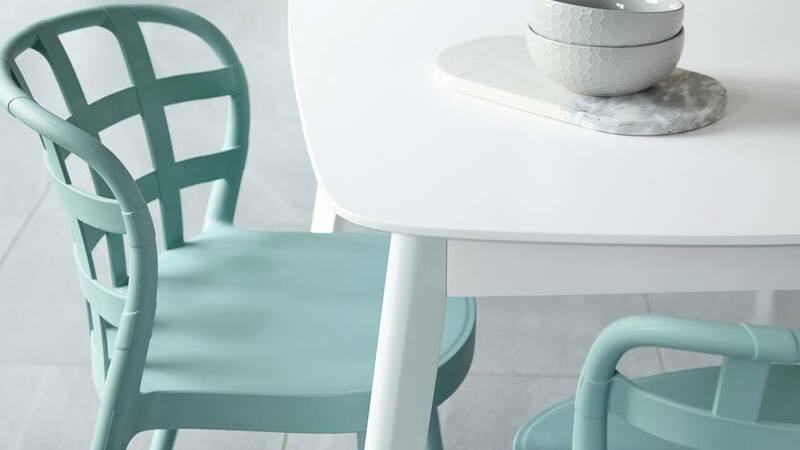 We've chosen to style the Skye with the Aver table as this pairing is an effortless way to add some colour and brightness to your dining space. What's more, the Aver table can be extended and the Sky chairs can be stacked for versatile seating arrangements. A combination of indoor and outdoor dining, this modern dining set really is a match in heaven! 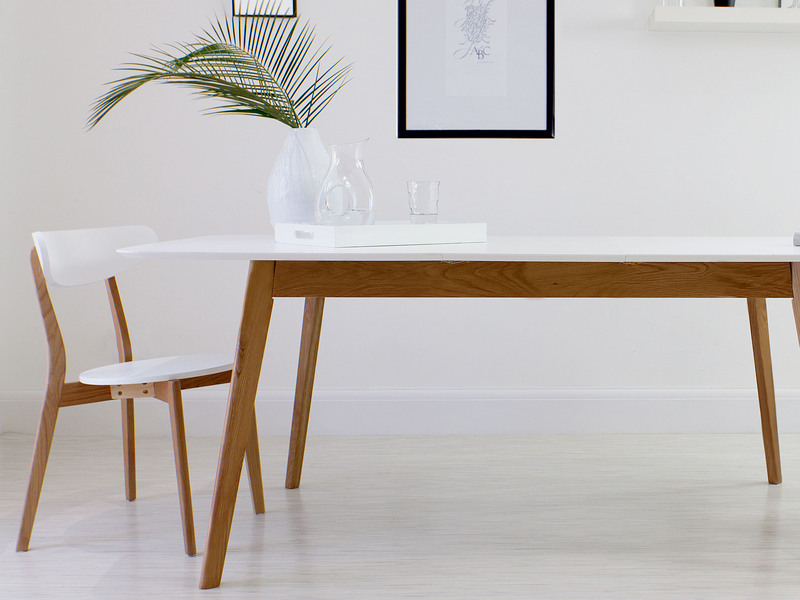 The Aver extending dining table is finished in a satin matt white. 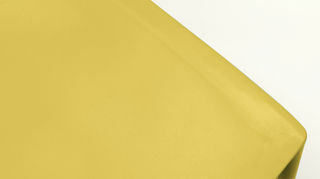 Whilst not being glossy, the satin finish has enough of a light sheen to be pleasingly tactile. 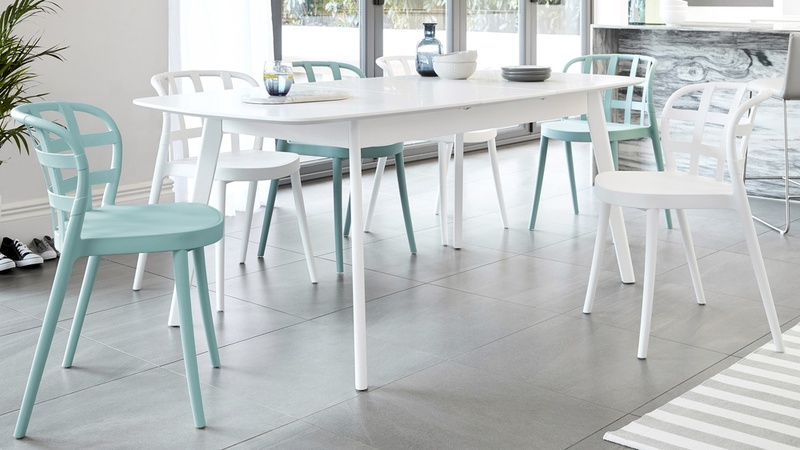 This makes the Aver ideal for adding a bright and open feel to your dining space alongside the Skye chairs. The tapered four legged apron construction of the Aver is a modern nod to a classic farmhouse family dining table. 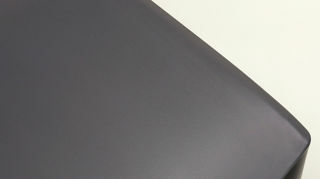 The butterfly extension is neatly concealed in the top of the table, a handy detail rare in a table of this price point. The extension leaves on many dining tables are actually stored separately, so having the butterfly construction makes the Aver dining table a very functional space saver. 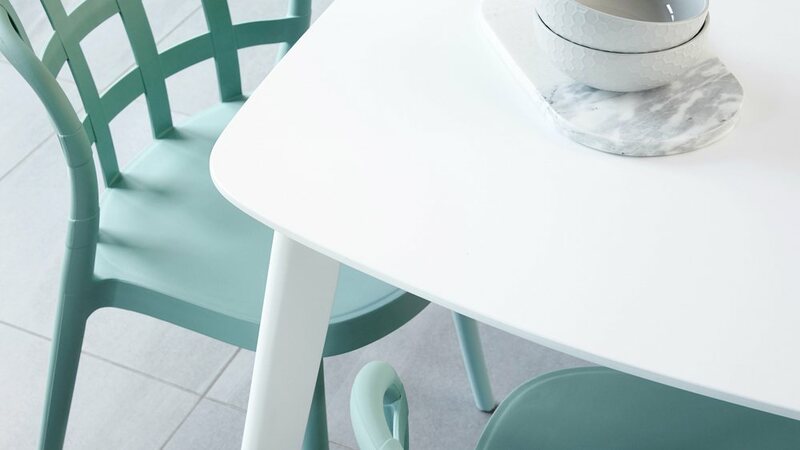 The table extension also makes the Aver a great pairing with the stackable Skye chairs as you can stack and store the extra seats when not needed. This is perfect if you regularly have guest over or want to mix up your seating arrangements. 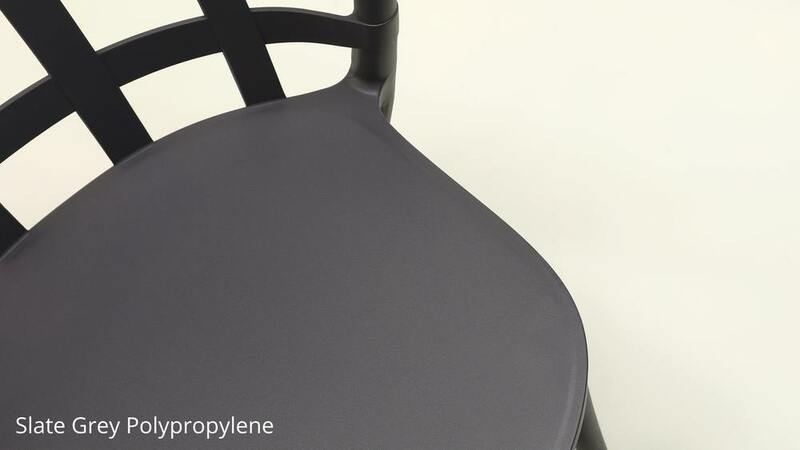 Made from molded Polypropylene the Skye garden chair is lightweight making it easy to lift but still incredibly supportive when seated. 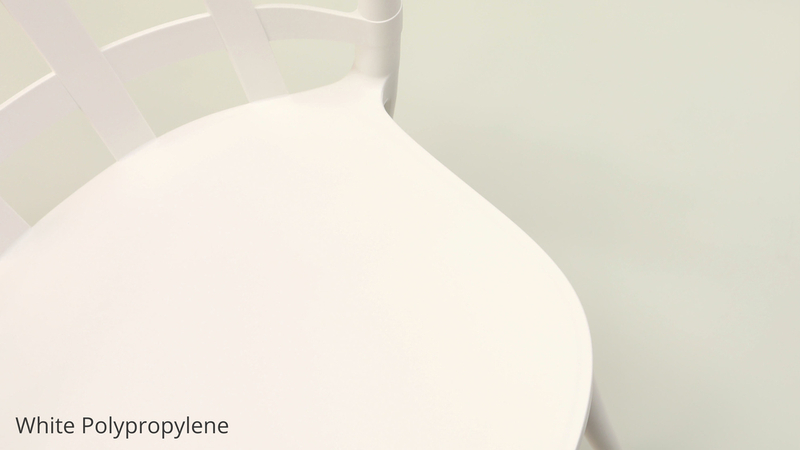 The smooth plastic surface is also water resistant making the Skye dining chair low maintenance, hygienic and a great choice for busy families. 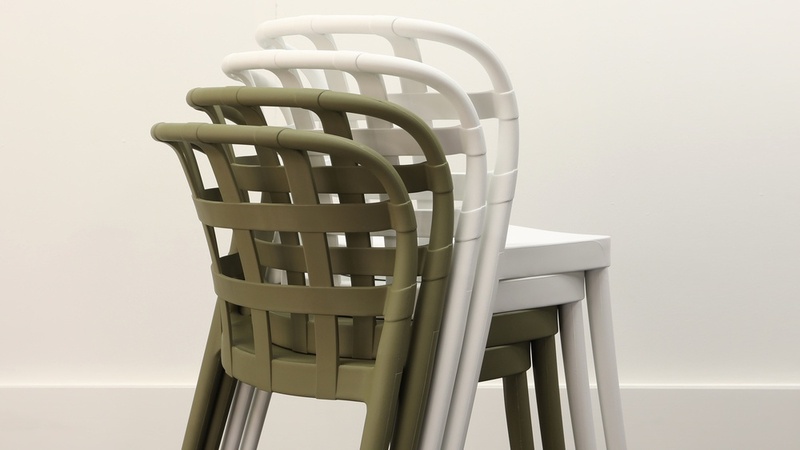 The curved back of the Skye garden chair is a subtle design feature that gives the chair a higher comfort factor and more back support when seated. This is so you and your guests can sit comfortably both indoors and outside. 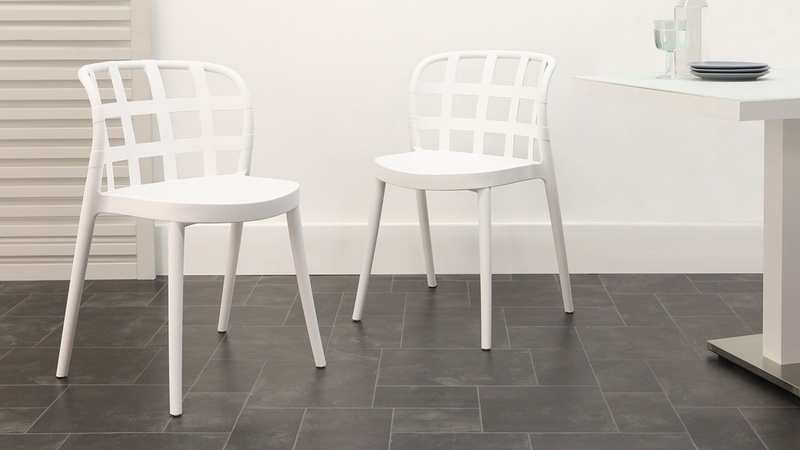 The Skye chair comes complete with floor protectors. 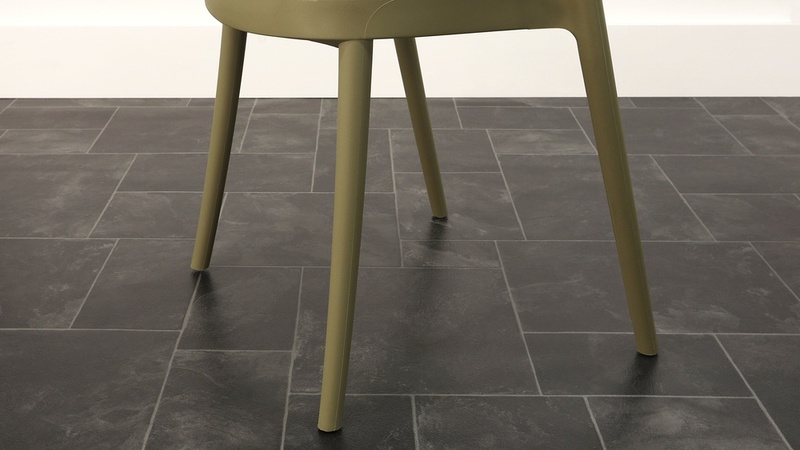 This thoughtful feature is to not only protect your flooring, but also the feet of the chair. 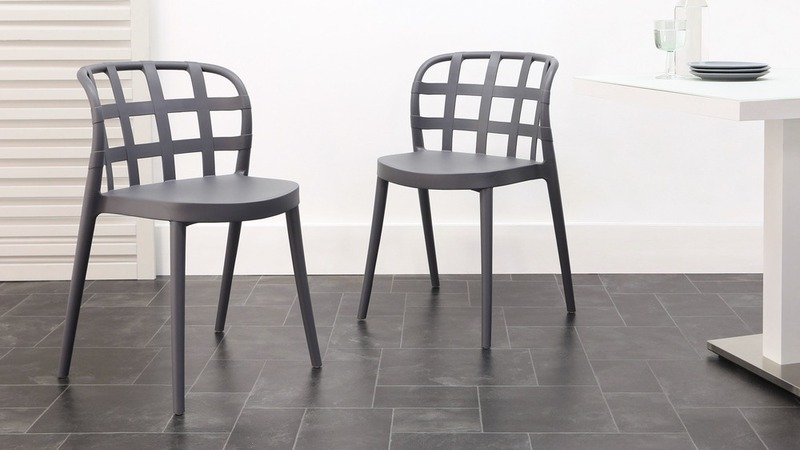 It also makes the chairs suitable for both indoor and outdoor use. To find out more information about each product, you can view the Aver White Extending Dining Table and Skye Garden Chair separately. For more products from our Garden Collection, click here. The butterfly extension is such a handy feature of the Aver dining table. Not only does it allow you to extend the seating capacity of the table with great ease, it also means you don’t have to worry about storing the extension leaves elsewhere, as they neatly fold back into the table top. Simple clips hold the extension in place, making the Aver both strong and supportive but in such a way that it is incredibly user-friendly. 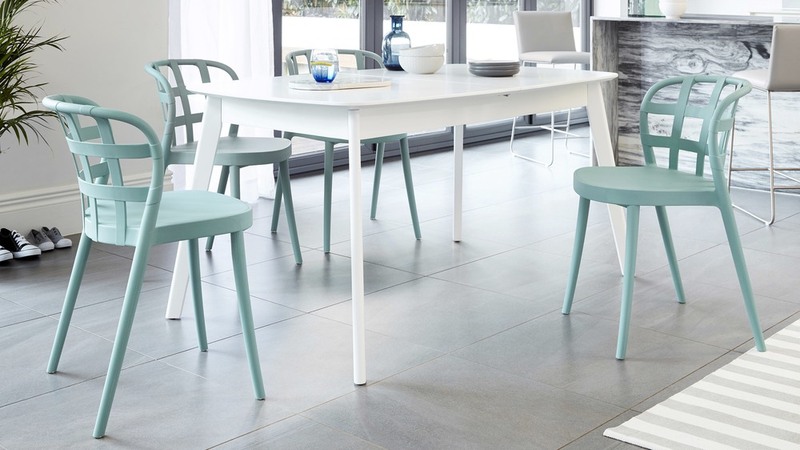 Having the extension in the table top also doesn’t alter the sleek and streamlined shape of the Aver, meaning you get the benefit of an extending table without having a bulky or chunky shape and appearance.